Buon Giorno from Italia! I seriously can’t believe that this has been my life for the past few weeks. A beautiful blur of planes, espresso, laughs and memory moments. 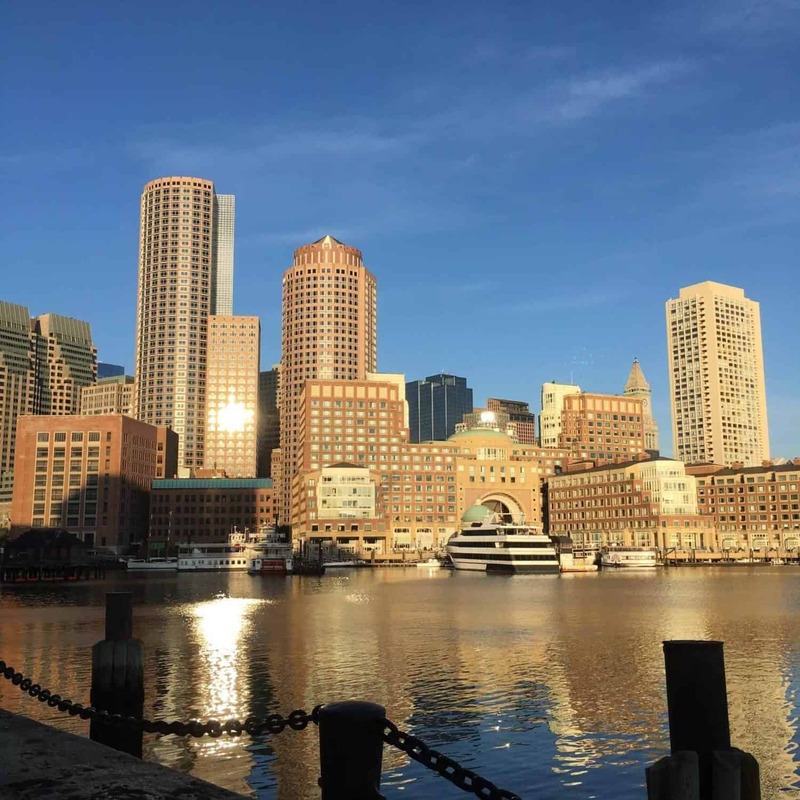 While we wind down our trip here, I wanted to pop in and share with you my time from the other trip I recently went on, the FNCE conference in Boston. As a nutrition writer, I’m able to attend the conference as press, which means I received free registration in exchange for writing about it. Since I left from Boston to Italy, I had all intentions of writing this recap on the long plane ride there. But, then an endless supply of movies, wine and naps took over and before I knew it, my computer was buried deep inside my bag, unwilling to come out for even a brief moment. I’m always amazed at my ability to completely disconnect the moment I travel; a blessing and a curse depending on the situation. Essential for vacation, disheartening for business travel when I need to work but find myself completely lost in exploring my new surroundings. FNCE is the annual RD conference and one of the few educational events that I always attend every year. 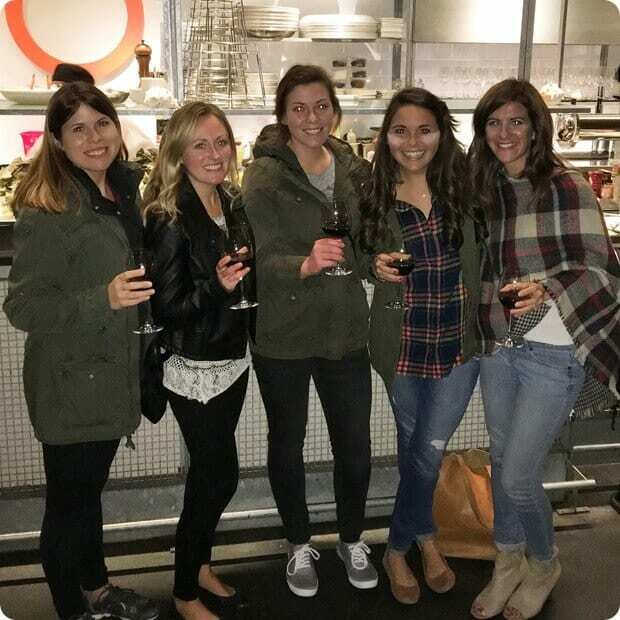 As a dietitian who works in a mostly virtual space, getting to spend a few days with colleagues is essential for me on both a personal and professional level. Which, is perhaps why this conference felt more like a girls bachelorette weekend than a nutrition conference. In a very weird way, most of my best friends live online. We’ve met through our collective spaces, then parlayed that into countless phone-calls, supportive texts and weekend get-aways. I’m in awe of this space that has not only allowed me to create a business, but meet many soul-friends along the way. I bunked with some of my favorites (Anne, Rachael, Alexis, Kylie and Robyn) in a hip AirBandB right near the convention center. Since back-to-back meetings can be exhausting, I loved coming “home” to this place each night for a giant slumber party. This FNCE felt more nourishing and gratifying than others, and I think that having this space had a lot to do with it. I feel super lucky that I’m able to call these talented and inspiring women friends. I got in early Friday morning, then wandered around South Boston for the afternoon until the rest of my roommates arrived. We grabbed a late dinner at Row 34 and settled in for hours of catching up. FNCE is mostly work-time for me since so many brands and fellow RDs are in the same space. My schedule was packed with so many meetings I barely had any time to attend sessions though I was able to sneak away for one on Saturday afternoon about private practice. I feel like I constantly wrestle with the concept of private practice. Seeing clients, helping others create a healthy relationship with food is most certainly my why. Food shouldn’t control your life; it is possible to be healthy, feel healthy and eat in a nourishing way that doesn’t feel like a diet. Since relocating to St. Louis, I’ve transitioned my private practice to Skype/phone calls only. In the beginning, I was really hesitant about this decision, but the feedback from clients has been really positive. They love that they can see me in the comfort of their own home, without taking extra time to come to an office, find parking and commuting back. I love the convenience as well, though I sometimes miss the bustle of face-to-face meetings. Regardless, this session reminded me how important the client work is. I need to consider my current schedule and create more space to take on more clients since that’s the part that really changes lives. Saturday evening was spent party hopping. I stopped by the Nutrition Entrepreneurs networking event first, which is a must-attend event for any RD working in that space. Seriously, NE has been career-changing for me- and I’m not just saying that since I’m on the board and current newsletter editor! Fellow entrepreneurial RD’s, if you’re not already a member, chat with me about making that happen. After that, I headed to the Agents of Change reception. 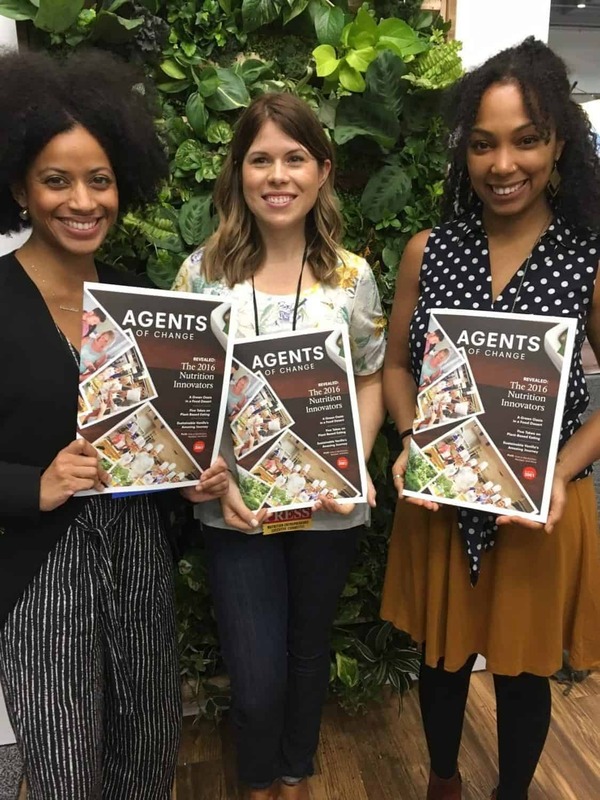 As a previous Agents of Change nominee, I was honored to be able to attend the event again this year, congratulating new members and chatting with the 2015 crowd. Unilever puts out a beautiful Agents of Change magazine each year and my piece on plant-based eating was included in this years. 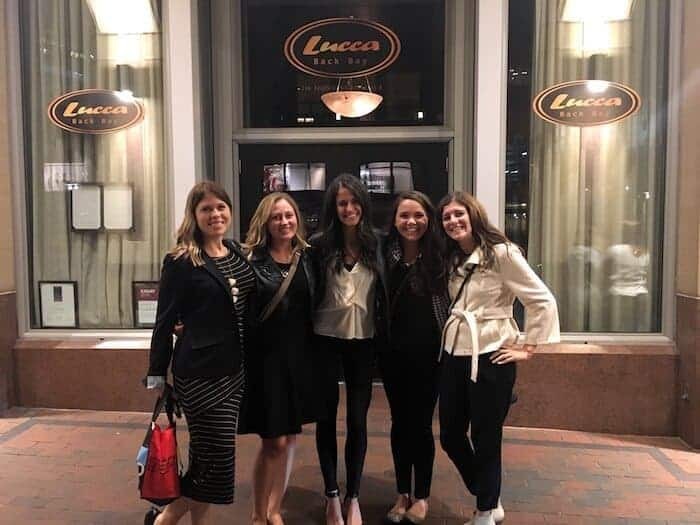 Finally, I re-joined my roommates for a dinner at Lucca in Back Bay put on by my friends at KIND. Obviously, I’m a big fan of KIND and proud to be a member of their nutrition collective. Not only are KIND bars my absolute favorite, but I’m a huge fan of their overall mission. I try to be really choosy about the brands I partner with and choose ones that align with my beliefs. I met up with my St. Louis friend Jen on Sunday morning for a much-needed stroll around the city. 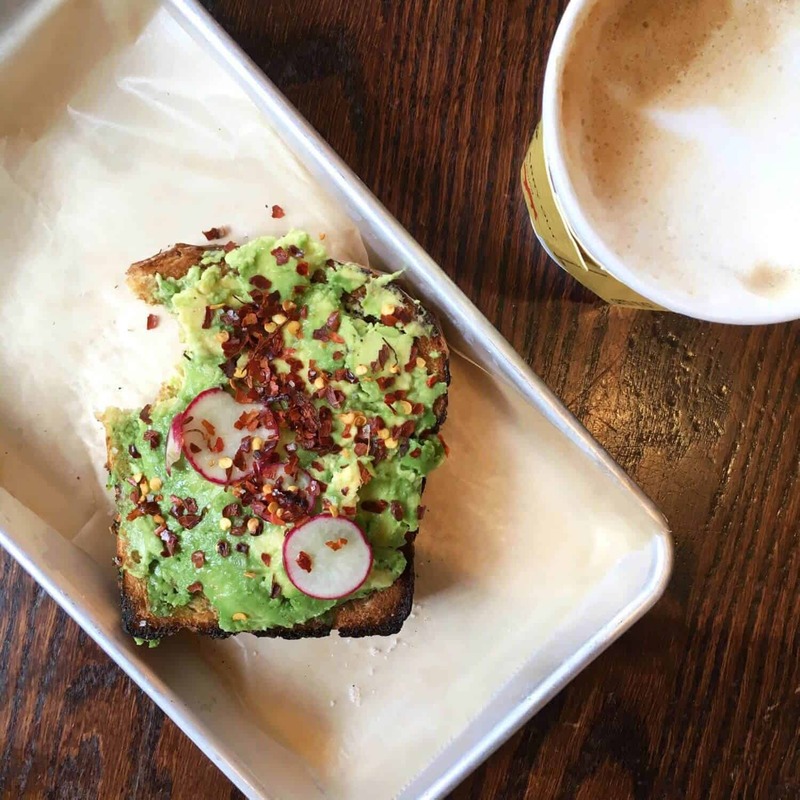 After meetings and a few sessions in the morning, I met back up with Jen, Liz and Meme for coffee and avocado toast at South End Buttery. So good! Funny enough, I watched Valentine’s Day on the plane to Iceland and the restaurant was in the movie. The movie was D-, the avocado toast was an A+. One of the best parts of FNCE is the insane expo hall; lined with every food and nutrition brand imaginable. It’s fairly overwhelming and though I spent most of my time there, I didn’t get to meet with everyone that I wanted to see. 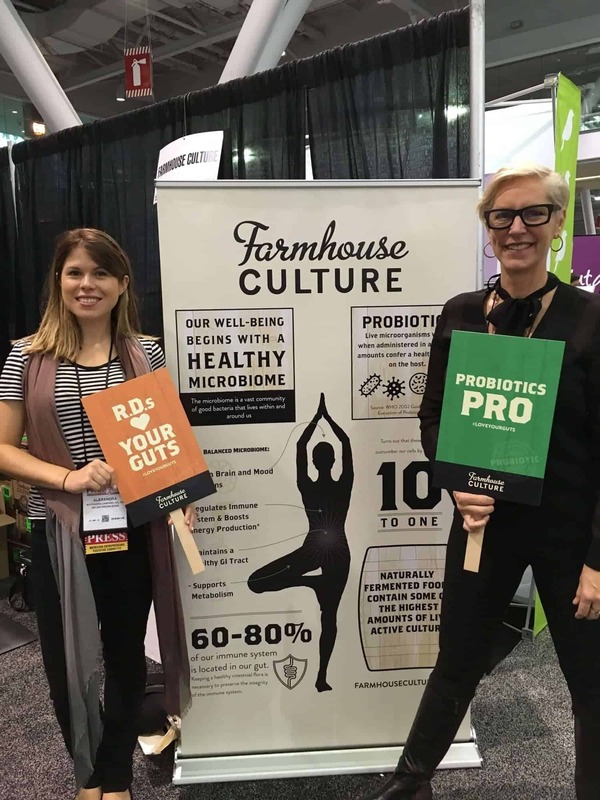 That being said, there were a few overarching trends that I noticed: foods made with pulses (beans, peas and legumes), snacks with added protein and fermented foods. As a pulse fanatic, I love seeing beans showing up in more and more places. Think chips, pasta, bars and more. I got the opportunity to meet with the creator of Farmhouse Culture, who makes my favorite kraut. Lately, I’ve gotten really into adding sauerkraut on just about everything: from salads, egg sandwiches, veggie dogs and more. I can’t get enough of the sour bite and Farmhouse makes some of the best. I got a sneak peak of some new products that they are coming out with in the coming months and I’m super excited. I love that gut health is becoming more and more common, a really good thing if you ask me. I couldn’t leave Boston without hitting up Sweet Green, a place I was first introduced to by Anne in DC last spring. Please come to St. Louis, I will eat there every single week. Pinkie promise. 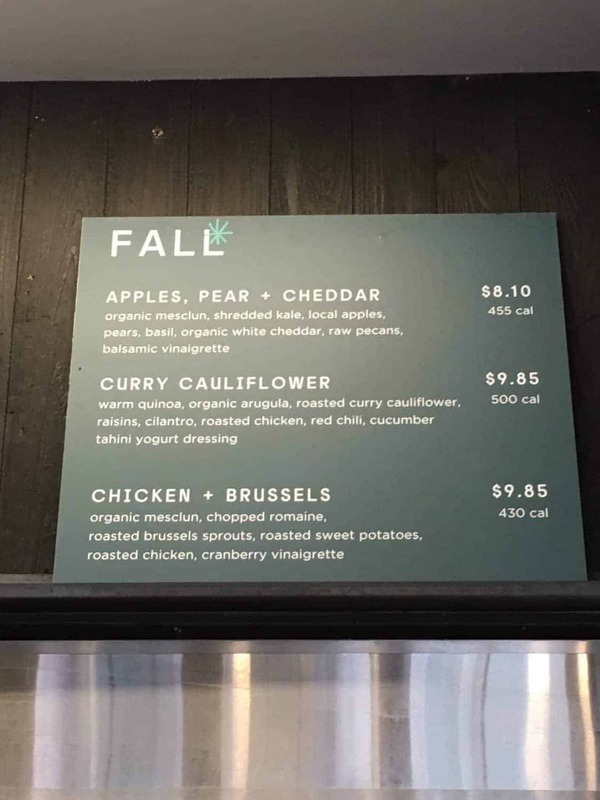 I got the Curry Cauliflower salad above, swapping in tofu for the chicken. After a few days of non-stop cocktail parties, I was more than ready for a giant bowl of vegetables. Such an amazing, action packed weekend! As always, I left FNCE feeling really inspired and energized. Until next year. So much fun Alex! I had a ball with you- could eat the avo toast everyday! !